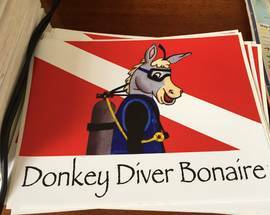 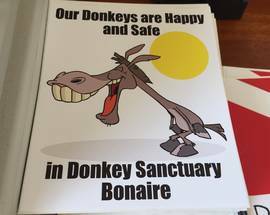 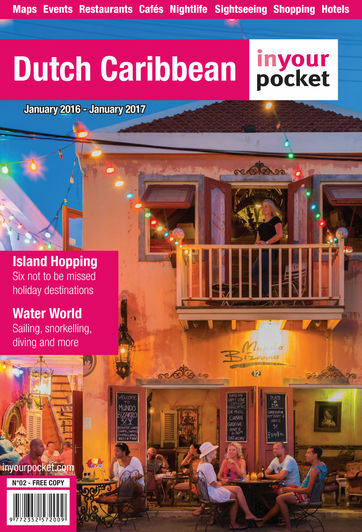 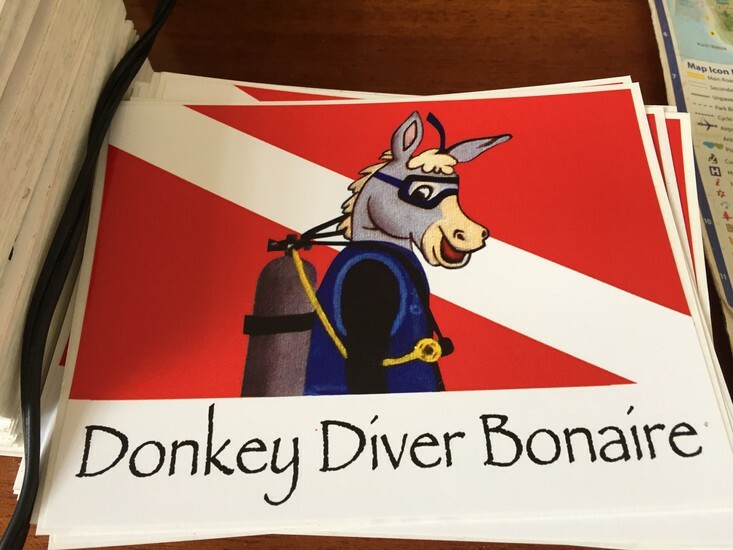 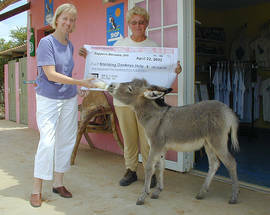 If one subject has divided the small population of Bonaire into two camps, it would have to be the ‘donkey problem’. 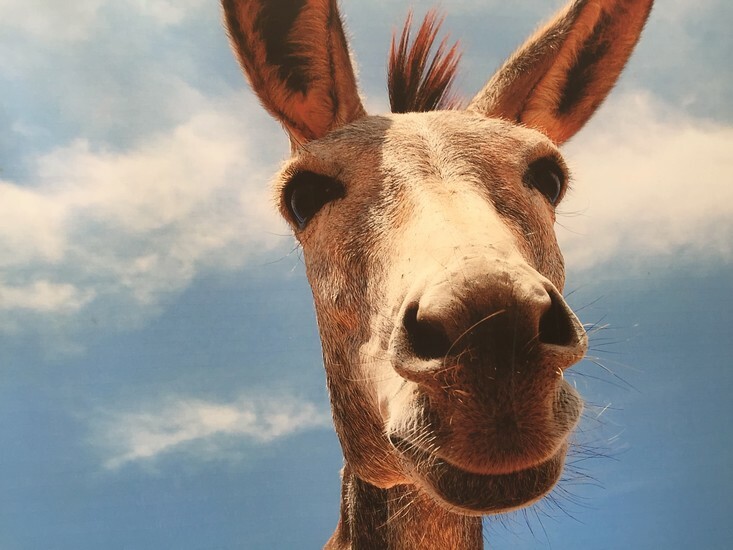 For hundreds of years these loveable, hard-working animals have been roaming the island, having been introduced to this part of the New World by Spanish sailors during the Age of Exploration. 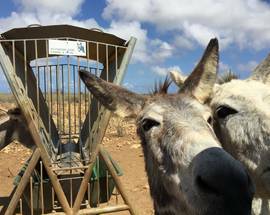 Today an estimated 1,100 donkeys still call the island home, although most of these live in captivity. 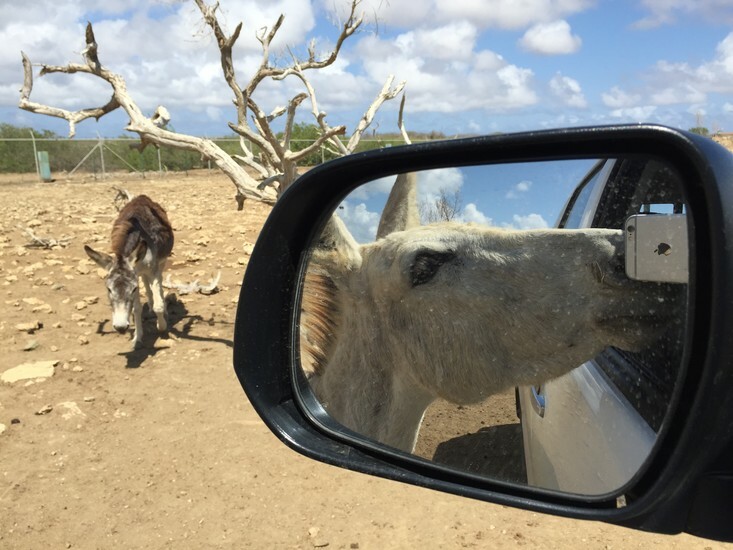 Droughts, the neglecting of a dozen or so water wells, traffic accidents and new government regulations have all left their mark on these docile creatures. 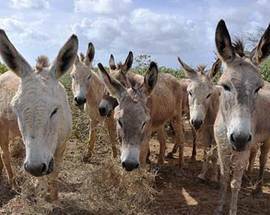 Around 600, mostly females, are now kept in this Donkey Sanctuary, which opponents prefer calling a zoo rather than an animal shelter. 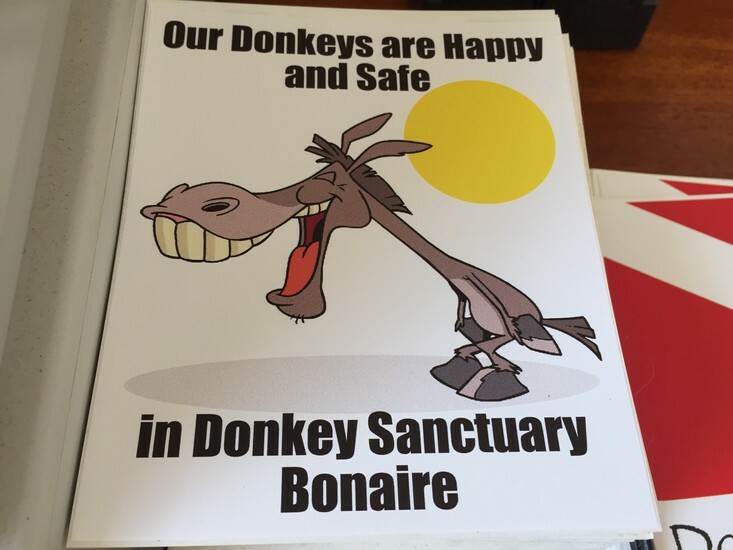 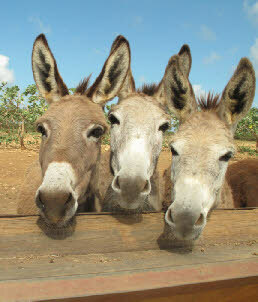 However, the other 500 donkeys are still out there, roaming freely on the fields and streets of Bonaire. 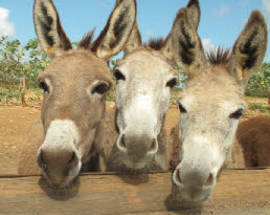 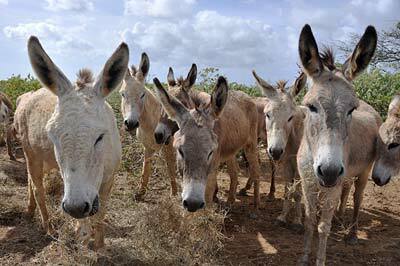 The vast majority of these donkeys have been castrated to control their population. 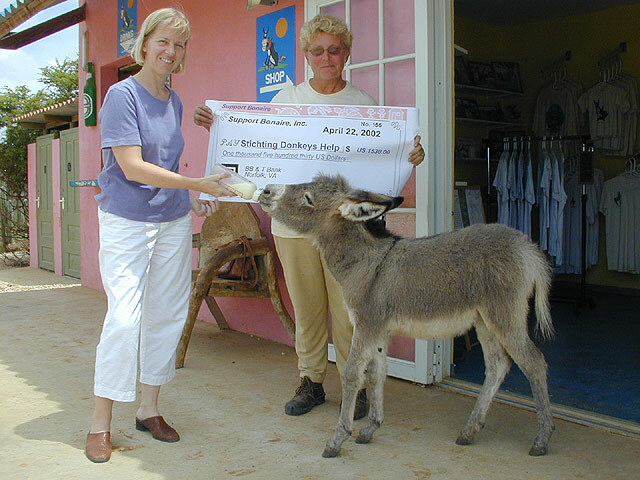 Whatever your opinion is, the Donkey Sanctuary and its 60 hectares has been a great place to visit these animals since 1993. 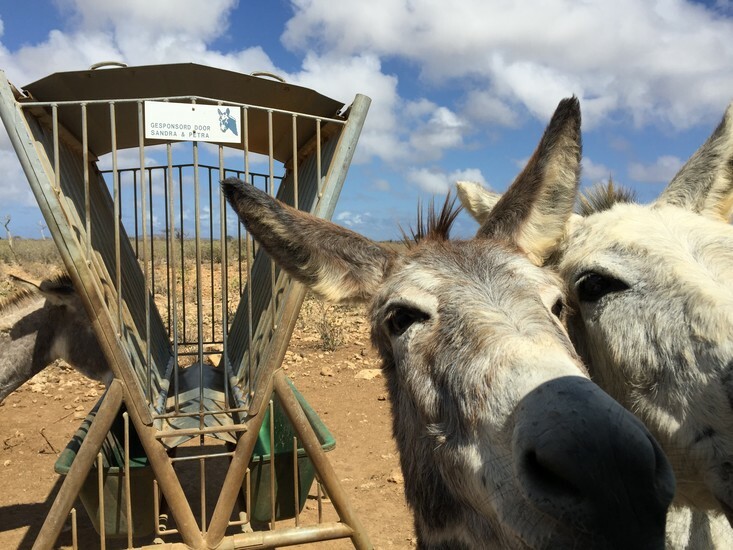 According to experts, this barren terrain is large enough to accommodate around 1,500 donkeys, although that seems to be quite optimistic given the parched land upon which they're supposed to graze. 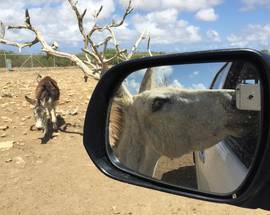 After paying a fee which helps support the animals, visitors can drive around in their own car safari-style. 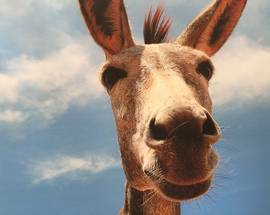 Admission: adults $7, children under 12 $3.50.